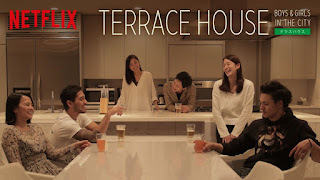 I've never been a fan of reality shows, so when my husband told me he had heard that Terrace House, a Japanese reality show, was supposed to be good, I admit at first I wasn't too sure it would appeal to me. 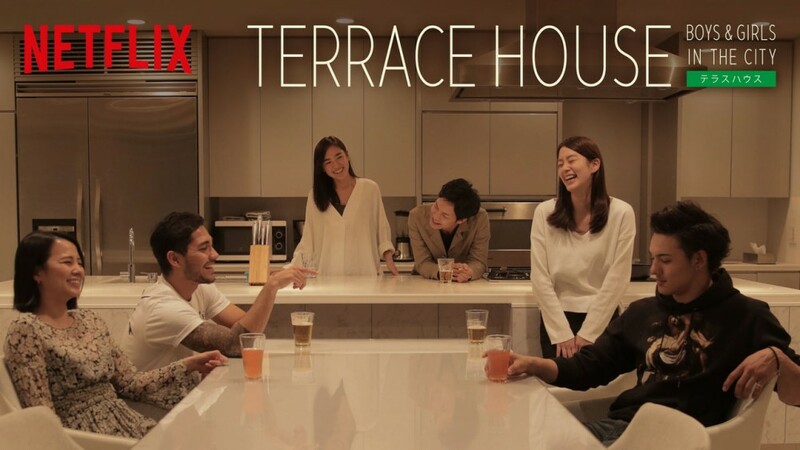 At first glance, it might appear that this is 'Big Brother set in Japan', but there's a completely different vibe in Terrace House. For starters, there's no real conflict (unless you can count the 'meat incident', where a member's gift of meat was cooked up for dinner without their permission), everything feels considerably more pleasant. The majority of the people featured are genuinely polite and easy to like individuals, and there's something pretty relaxing about the whole thing. 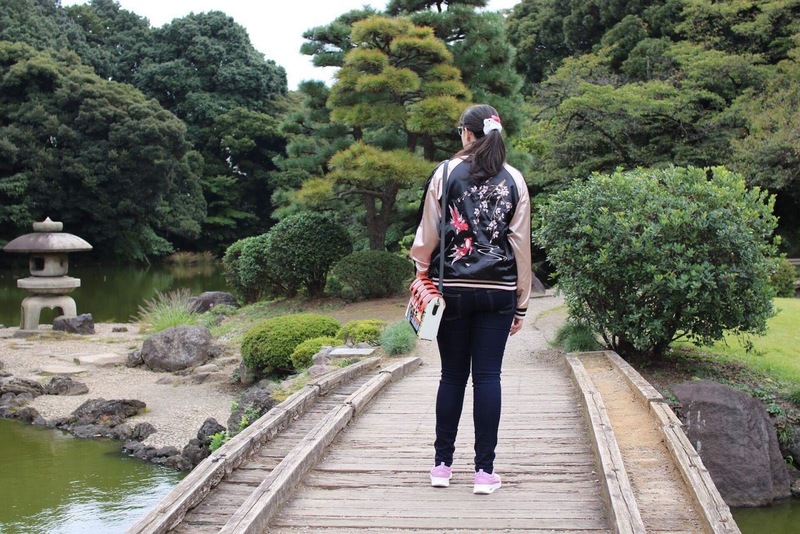 Japan is famous for it's wacky gameshows, neon lights, anime and manga lifestyle, and eye-catching fashions, as seen in places such as the wonderful fashion district of Harajuku. 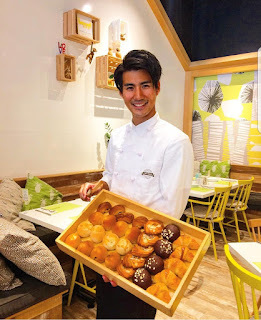 However, Terrace House takes a step back from this, and shows you a more subdued, 'everyday life' side of the country. In the show, viewers follow the members as they go about their daily life, whether that be at work, pottering about at home, or socialising outside. While 'Aloha State' transported the show to Hawaii, the other two Netflix seasons that are currently available are set in Japan. Both the setting, and the house are absolutely gorgeous. Because of this, watching is quite a delight. Reality TV shows that throw together a bunch of strangers under one roof are normally filled with drama, and arguments. These people are often purposely totally different from one another to encourage that. While some people might love this conflict, to me at least, I just find it a little dull. On the flip-side, Terrace House might seem a little too tame for viewers who are used to seeing a fight kick off. There's something weirdly comforting and relaxing about watching a group of 20-something people quietly get along with life in the same house. There's hardly any arguments, and when there are rare moments of upset, it blows over pretty quickly. Presented by You, Reina Triendl, Yoshimi Tokui, Azusa Babazono, Ryota Yamasato, and Kentaro, these Japanese actors and comedians fill the audience in with their thoughts on what's just been seen at regular intervals. A lot of their conversation is genuinely funny, and truly enhances the show. 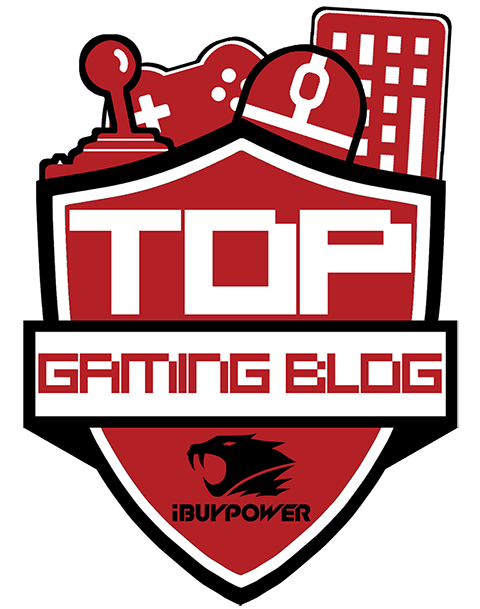 They often help to break down exactly what happened, which is particularly useful for viewers outside of Japan, who might find a reference or two during the show has flown over their heads. 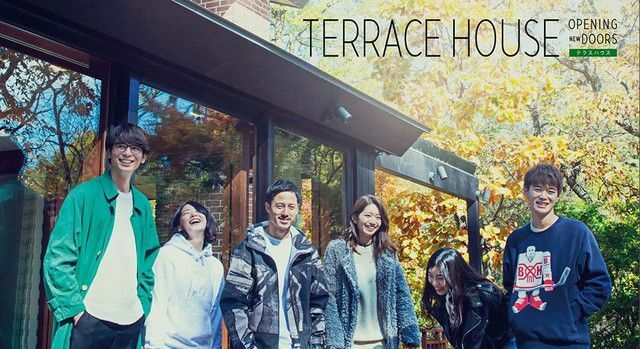 Without them, Terrace House wouldn't be half as good! I don't speak or read Japanese (although I'd love to), and any non-Japanese speaker will find that it's best to focus attentions on the subtitles. This isn't a show that you can scroll through social media on your phone at the same time. Missing subtitles means that you're quickly out of the loop, and this show benefits from full attention at all times. It's quite nice to find a show that you can simply close off any distractions, and fully immerse in, simplistic, mundane conversations and all. 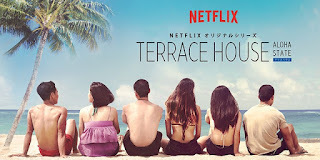 Unlike most reality TV shows, Terrace House is unscripted, and the members are allowed to go about their daily lives freely without any interruptions. The unscripted setup leads to more genuine conversations, and the blossoming relationships, which often take far longer than they would in other reality shows, feel more natural. The members of Terrace House cook, or eat out a lot. You'll see plenty of delicious bowls of ramen, sushi and other Japanese cuisine throughout the seasons. I love Japanese food, and it never fails to make me hungry! 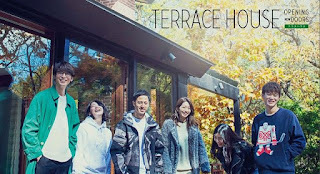 There's something a lot more refreshing, and innocent about the romances in Terrace House. Love often takes quite some time to flourish into a proper relationship, and half of the enjoyment of this show comes from the whole element of 'will they, won't they'. In Terrace House, we get to see the members head out on dates, and slowly hook up. While not all relationships have continued for long outside of the house, it's still nice to see that some of the shows couples are still going the distance, long after their time on the show had finished!